False Confidence. Before you put “confidence” into your goals, learn how doing so might amount to a kind of self-inflicted trap. False Confidence. Today let’s explore when confidence is authentic versus an illusion or even a trap. Perspective comes from my research with energetic literacy. Which brings us clarity about what really work. Versus what doesn’t. Research done on self-actualizing RES clients. Who are parlaying their spiritual awakening into positive progress. Possible for you, whatever your path. Since a faster rate of progress is available now, in The Age of Awakening. Definitely, what you don’t know about true confidence versus the false kind… Can wreck the outcome of your goal setting. Today’s exploration will expand upon our first discussion of misguided goal setting. With excellent comments from some of you Blog-Buddies. Check it out here. What’s Confidence Supposed to Help, Anyway? Such an illusion! Considering the pursuit of self-confidence… as the ultimate fix-it. 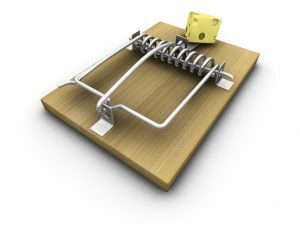 Blog-Buddies, you wouldn’t fall into that sort of trap, would you? Because you know better than to confuse objective reality with subjective reality. As in, lacking actual vocal skills, no wonder Gladys feels a bit uncomfortable. False, fakey self-confidence won’t substitute for developing actual skills. As you may know if you’ve read about RES Energy HEALING, what’s stuck in Joe? Why wouldn’t he live with unabashed curiosity and verve? Literal, astral thingies: STUFF. Which, through no fault of your own, gets stuck in your subconscious mind. And mine. And Joe’s. But does your conscious mind know specifics about what’s stuck there? That’s impossible. Nope, in terms of your aura, STUFF means astral-level energy garbage. In terms of your mind, STUFF means emotional debris withing your subconscious mind. And yet, supposedly, all you need to is put a big fake smile on your face. Seeming confident. Feeling confident. And that will fix everything. Vanquishing STUFF. Blog-Buddies, I’m going to list a few cliches and feel-good songs that come to mind. Where “being positive” or “pretending to feel confident” are proposed as GREAT ADVICE. Have they influenced you? Blog-Buddies, where else have you heard this kind of idea? So ridiculously popular! And why do you think that is? Please share below. And even if you did know about all your inner problems… Even if you analyzed those problems meticulously… That still wouldn’t budge the STUFF that you have stuck within you, both subconsciously and energetically. Sessions of RES Energy HEALING aren’t the only effective way to move out STUFF. But they do work. And so can certain self-healing skills you might learn. On the other hand… Does positive thinking budge STUFF and build authentic confidence? What do you’ all think. This is why it’s important to recognize how… When people speak of confidence as a goal… Usually it’s an illusion. Why? Because we can’t progress when we’re busy persuading ourselves that a lie is true. As discussed in a recent critique of some pretty disgusting techniques that are offered to empaths. The blind leading the blind! Whether you call it the Shift Age or the Aquarian Age or the Age of Aquarius, same deal. Fake confidence just doesn’t work any more. This, based on my research, as published in “The New Strong.” (BTW, I teach similar skills in some on-demand workshops by the same name. Which you can read about here). Living in The Age of Awakening, you’re energy sensitive by now, right? Everybody who wants to be is. Especially if you are energy sensitive, how great do you think it is, lying to yourself? The end (self-actualization) just doesn’t justify the means (false confidence or other lies). Plus that means won’t work. Ironically, pushing false confidence will set you back. Even for honest people… Trying to have something that you really don’t have is, simply, fake. Yes, even for big idealists, like me and (probably) you. True, somebody in Enlightenment may possess a quiet confidence. But you sure don’t move towards Enlightenment by copying that quiet confidence. Cart before the horse? Not a great way to travel! Particularly when writing down personal goals. And does that make sense? Or even, does that look right or not? Perhaps you prefer my fave: Does that pass the sniff test? What’s Better than Resolving to Feel Confident? Choose honesty. A comfortable, everyday honesty. That allows your everyday experiences in life to become informative! Interesting! Even spiritually evolutionary! So here’s to having exactly as much confidence as you happen to have! And, with that, use the skills you’ve developed. Because, in The Age of Awakening, integrity matters far more than confidence. I have certainly slowed myself down through this one, for me, in the area of money management. Having confidence does not substitute for paying attention to the objective realities of budgeting. And can lead to a lot of problems. For me it was this sentence, “So here’s to having exactly as much confidence as you happen to have! And, with that, use the skills you’ve developed.” Something I’ve learned through personal training, but failed to carry through to other areas of my life. This is a multi-dimensional lesson I’ll be taking to heart. Sounds like I need to schedule a session. Thanks rose, this woke me up so much i ptobably don’t even need coffee. I am constantly questioning myself, and it’s quite a mess in my mind. I’ve listened to alot of internet guru’s nowadays and i am starting to doubt if their advice is as good as i thought it was. JEFFREY D, what a first sweet comment here! To the JOE who started this thread, you are just a dream student. I had to ‘fake it till you make it’ when I was younger. I had to pull confidence out of thin air, or otherwise not survive. Now I’m beginning to understand how harmful this bad habit can be, energetically speaking. Thanks for the lesson(s), Rose. Always appreciated. I remember a thought from a Kinglsey Amis book, where a working class lad thought to go to university to “measure the size of his brain”, as if you don’t challenge yourself, you don’t know what your abilities are. This was about the first generation to go to university… somewhere where it would help my highly IQ-ed parents to go to, as they would have been able to use their brains rather than go slightly mad. I think my mum in particular, had no idea just how brilliant she was until he hit her late 40s. Anyway, the point of that comment is that I always see myself as a kind of athlete, I know my mental, physical and emotional stamina. Then confidence is about being able to match your abilities to task fairly accurately. It’s not about ego or emotions or beliefs, it’s simply learnt experience. And then not using excess capacity to wind yourself up and not beating yourself when resources are spent. Though, it is a paradox, as “accepting uncertainty” and working around it within reason has been something I’ve had to grapple with… I’ve literally had no financial etc safety net for the last 15+ years. This aspect of Divine Providence is pretty difficult to judge… especially as we do live in a free will universe. But that’s part of the capacity I’ve had to assess, how far can I use my intuition together with my organisational skills to make things work? Especially as that’s about combining two very different aspects of who I am. Sometimes I’ve put so much effort into one thing, I don’t have the energy to deal with the thing that “turns up”, but then I have to dig that much deeper. Anyways, no more of this, before I annoy Rose, except to say that budgeting is a bit of a middle class luxury. Late to the party, I know, but I’d love to share surprise benefits of participating here that are too yummy for me to keep to myself. At first, I thought where have I NOT heard the idea of false confidence? It seems to have repeated around me, in slightly different themes, over at least three major life periods. Even if I didn’t always buy in, I was influenced and it was sometimes painful. I was going to post about it and then I checked myself. Questioning relevancy and even the magnitude of my thoughts began to feel like technique time so I decided to let it air for a while and go about my day. Meantime, I had been thinking about buying this book https://www.rose-rosetree.com/books/use-your-power-of-command/ to hold me over until my next session with you, Rose. Your mention of it in this post was a timely nudge to do it. The results are a stunning improvement! Truly grateful, and applying the techniques I learned helped me choose the next steps. I see first-hand that changing the order of things will make it easier to learn The Master Empath book once I return to that series. ? Back to my first reaction to this post, the consequences of false confidence are perhaps more far-reaching than we realize! Into the past as well, where it was modeled to me as a way to get by. Why do I think the idea of it is so popular now? Maybe because people want to feel better and live in a different world. More so than ever, I think, because of the age and times we live in. What wonderful observations, KAYCEE. Thank you!